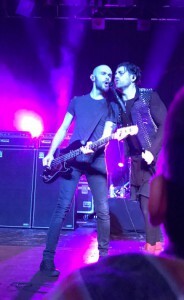 On February 11, I got the unforgettable experience of seeing AFI perform in Atlanta. 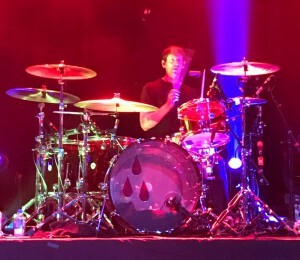 By now, if you visit here often, you probably know that AFI is my favorite band based on the frequency of them being mentioned in some way throughout my posts. When tour dates were announced, there was three option that I narrowed it down to based on proximity to Ohio: Chicago, Washington DC, and Atlanta. Beings the dates listed were for late January and February, Chicago was automatically out. I mean, why would I go somewhere colder than Ohio when I knew I would be spending a great deal of time outside? With a lot of the political stuff going on right now, I really didn’t want to venture into DC alone. That left me with Atlanta…slightly further, but a good 15-20 degrees warmer. It seemed like the most logical choice after weighing out the pros and cons. I ended up leaving the day before the concert. Overall, the drive took me just about nine hours with stopping twice to re-feed my car and grab a quick snack myself. I passed the time by listening to AFI the entire way, shuffling the songs on my phone of each record from Black Sails to Blood. Do you know how many AFI songs can be listened to during a 9-hour drive? 138 (that is with stopping the music to make a few phone calls) The drive was easy and I flew down Route 75 until getting into Atlanta. Then, things slowed to a crawl. Eventually, after fighting Atlanta rush hour traffic, I got to the hotel, ordered dinner in, and crashed for the night. Fast forward to Saturday, I woke up and got ready for the concert and took the hotel shuttle to the venue at 10 in the morning. There were already roughly twenty people in line ahead of me. I went to the end of the line, sat on the sidewalk and sunbathed in the refreshing 60-degree weather. To those from the south, I probably looked nuts. Coming from 20 degrees in Ohio…it felt like summer! I met a lot of really great people waiting in line for those 9 1/2 hours before doors opened. We talked, laughed, and got to know one another. We even formed a group to play Cards Against Humanity in a circle on the sidewalk that one of the girls had pulled from her car. Time went relatively quickly, and before I knew it it was 7:30 and we were being let into the venue. I was able to meet some friends that I had met online and unexpectedly reunited with people from previous shows in other states that we had been to. The many hours paid off. I ended up the second row back from the stage just left of center. The next three hours waiting for AFI to go on went so fast, yet the anticipation made them drag on. The second the lights dimmed, the months of excitement, the many hours on the road, and all of the time spent waiting in line outside became real. 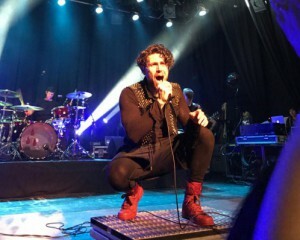 The energy in the room could be felt the moment AFI went on stage, and that energy only grew with each passing song. The Atlanta setlist was incredible, with a nice balance of older as well as newer songs, as well as a couple of never-heard-live-before songs. I can say that I was not disappointed in the least with the songs we were given, and even heard two of my favorites that I never thought I would hear performed live. (On the Arrow and This Time Imperfect). By the time the last song was played, the crowd was on fire, soaking in every last moment of what was left of the incredible night. I scream-sung along to every song and I don’t think the smile left my face for an instant, even while being smashed, shoved and stepped on. Below is the entire Atlanta setlist from start to finish. Sadly won’t be able to make it to another show this time around, unless a second leg of the tour is announced for later in the year. 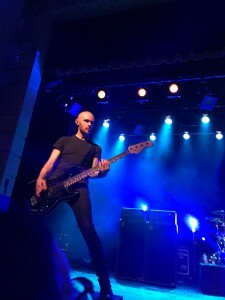 One thing that I do love about AFI, though, is that each show is different. One could go to shows two nights in a row and get a completely different concert because they don’t do the same songs night after night. What we heard in Atlanta may not be heard at their next shows. It keeps things interesting and fans on their toes not knowing what to expect from their night. There is a mystery in the anticipation of wondering what will be heard. After the show, I met up with a couple other people to wait around to try to meet AFI. Just over an hour after the show ended, they did come out which added to the magicalness of the night. Those who waited lined up, and one by one we were able to meet each of the members of AFI. We were told that there would be no pictures due to the number of us who remained, but it didn’t take away from the specialness of getting to meet a band who I have loved for over a decade. I was able to get my ticket signed by each of them and say a few words. Regretfully my mind went blank so I didn’t get the chance to say what I had planned on had I ever gotten the opportunity. 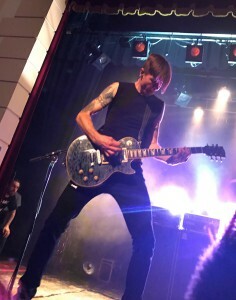 Adam, Davey, Hunter, and Jade were all incredibly kind and definitely live up to the reputation of being down to earth and appreciating their fans. Not once did any of them act like they would rather be anywhere else, taking the time to meet with everybody who stayed just for them. I never in my wildest dreams thought that I would ever get the chance to meet them, but the feeling of having gotten to cannot even be described. Now, I am back home in Ohio and post-concert depression is real. Would I do it all again? Absolutely! I am just waiting for the next list of tour dates to be listed, whenever that will be and wherever it may lead me.